So I am working my way through the 10 colours of the Pantone Fashion Colour Report for Fall/Winter 2016 and the next colour is one I really like. It's another blue (but the last one, I promise!) called Airy Blue. It's interesting because when I look at this colour and its name, it actually reminds me of a nice, lazy Sunday in spring when the flowers start to bloom and you experience the first warm day of the year. Imagine a freshly mown patch of grass with some scattered dandelions, a blue sky with some white fluffy clouds here and there and a fresh smelling spring breeze. 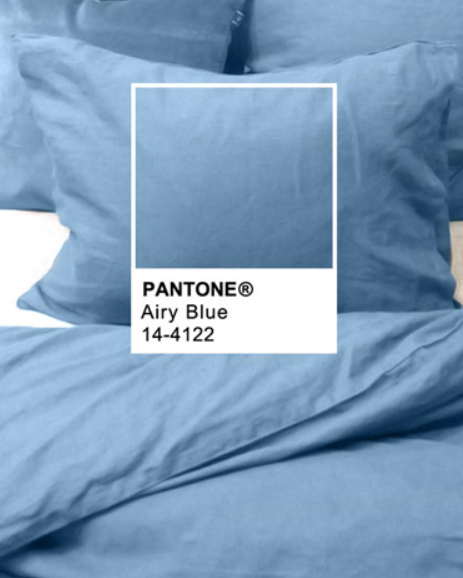 That's airy blue to me. I guess in a similar way, airy blue could remind you of the first day of frost. Something I do love, is a cold winter day with a blue sky and sunshine. One of those days when you wake up early and you can smell nature. Anyway, for Pantone the colour Airy Blue stands for lightness, freedom and serenity which forms a nice contrast during the dark autumn and winter months. I've put together a collage of five different products that I think represent this colour. I am however not that familiar with liquid liners. I think they scare me a little because I don't feel confident enough in my liner skills to try this out. This one in particular, called Extreme Sky Blue - Pearly baby blue, is a beautiful pale blue with a touch of shimmer to really bring out your eyes. It represents frost and snow and I think will work great, especially for blondes. The NYX Studio Liquid Liner is available for £7.50 or in the US for $4.50. The next item on my list of favourites is a fragrance I think by now many people are familiar with. What a great range, the Daisy fragrances by Mark Jacobs. This lovely baby blue version is called Daisy Dream. The name probably already gives it away but this is a light, fresh perfume that really fits the weightlessness that Airy Blue represents. 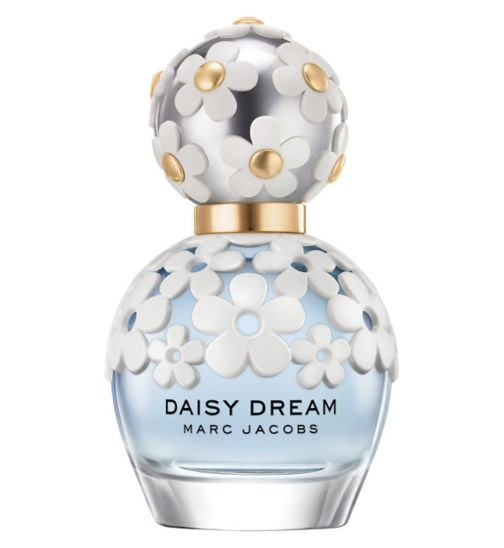 This Daisy Dreams by Marc Jacobs Fragrance is available from £50.00 for 50ml. My third beauty choice is one I have been using for quite a while now and absolutely love! 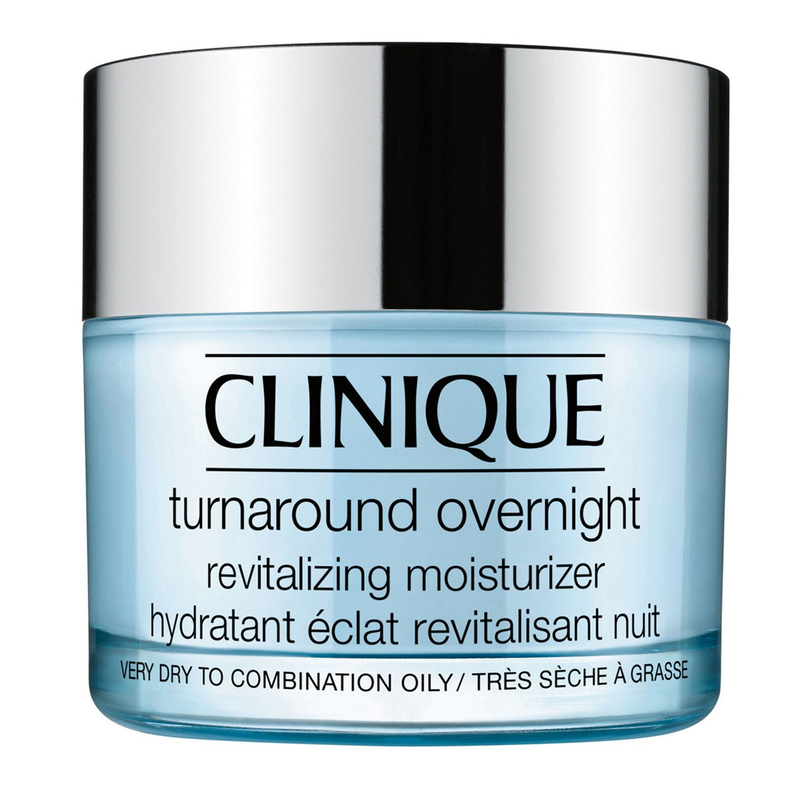 Turnaround Overnight Revitalizing Moisturizer by Clinique is a night cream for very dry to combination/oily skin. This cream works overnight to recover your skin of everything it has endured during the day whilst bringing out its luminosity so that your skin looks fresh for the next day to come. The moisturizer costs £34.00 per 50ml. The next brand is by far one of favourites when it comes to makeup. Christian Dior means luxury to me. Not only are their products amazing, so is every Dior section I have been to. I was pulled in for a foundation test the other day and I just couldn't stop looking around - it is truly amazing. 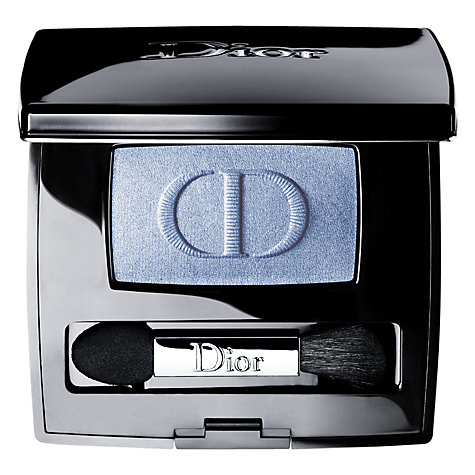 The Diorshow Mono eye shadow in the colour Air really fits the blue theme of this post. It comes with a new, really useful tool where one side is the normal foam applicator through which you can apply the eye shadow. But it now also comes with a brush end which can be used for blending. This eye shadow costs £24.50. The final item I have chosen for this blog post is the Sumptuous Extreme Waterproof Mascara by Estee Lauder. I picked this because it will truly finish your look. This mascara add volume, lifts and curls the lashes giving you that false lash effect we all need every once in a while. Next to that it is waterproof so useful on holiday! The mascara has added fibres in a light mousse-like texture and offers 10-hour wear. The price of the mascara is £25.50. 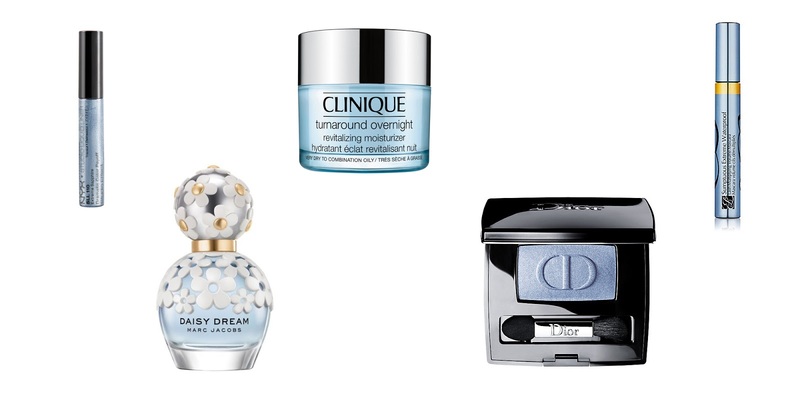 So there you have it, my top 5 beauty picks for the colour Airy Blue. I hope you liked it and that it has given you some inspiration for this autumn/winter. How will you brighten your beauty routine during the darker months of the year? I would love to hear all about it in a comment below.